The incredibly versatile falketind flex1 pant has been developed for every type of mountaineering and outdoor activity, thanks to the flex1 fabric which offers superior stretch, excellent water resistance and wind resistance amongst other benefits. These breathable and stretchy properties make them suitable for high-intensity activities, whilst the soft shell surface make them comfortable enough for casual wear. 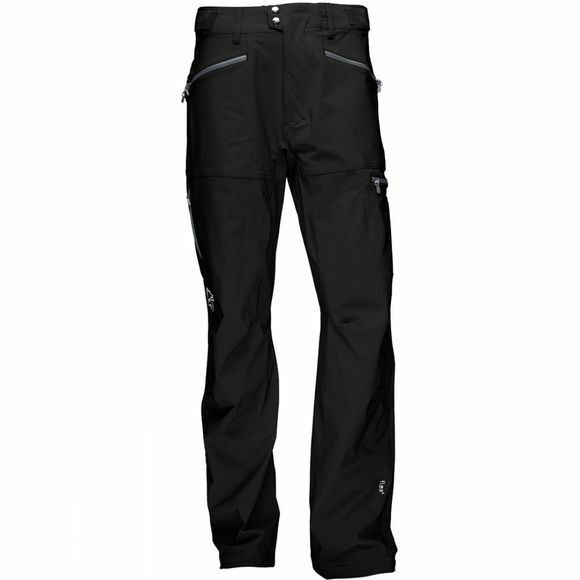 The fit is a little tighter compared to Norrona's other pants for optimal mountaineering use. The perfect pair of all-round pants for the active outdoor enthusiast. flex™1: A single ply stretchy fabric that provides wind and water resistance while allowing improved moisture vapour transportation rates compared to waterproof products. These specially designed fabrics have all the attributes we expect in a Soft Shell: stretch, water resistance, wind resistance and excellent moisture vapour transportation.